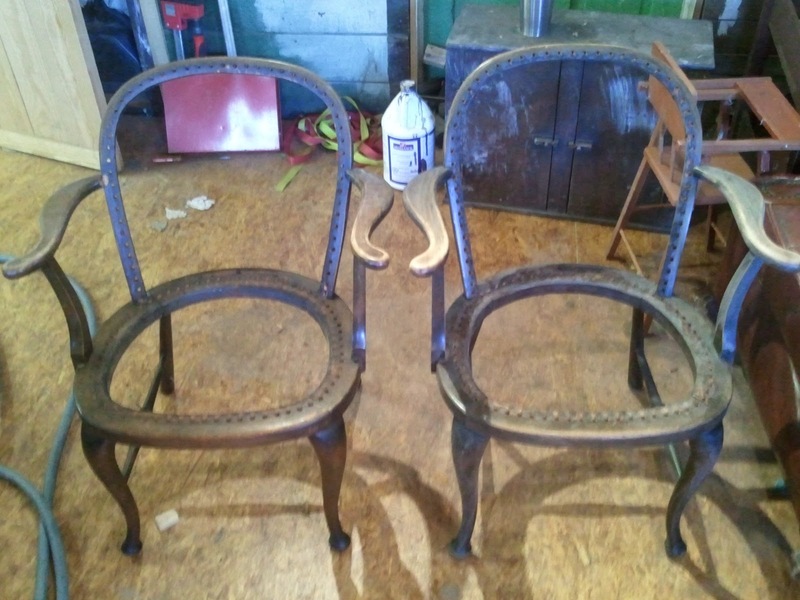 I recently completed the restoration of two sack back Windsor armchairs. 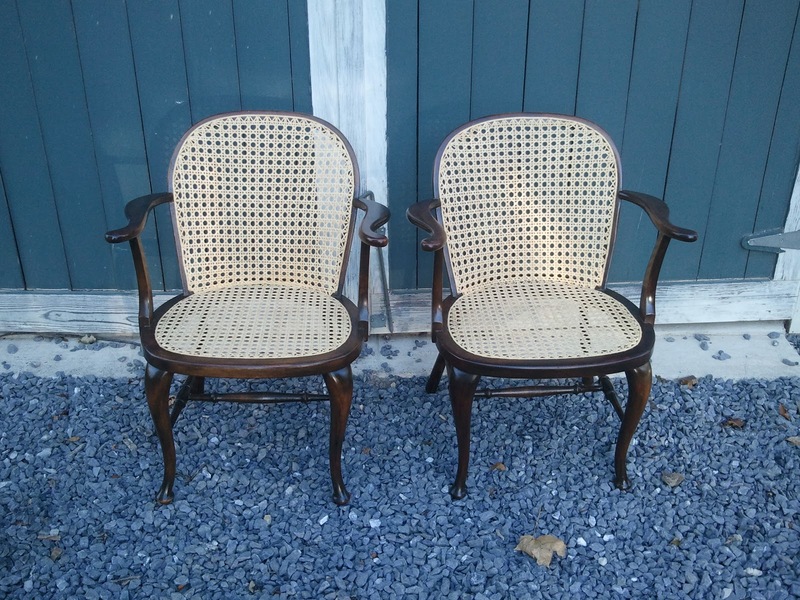 The chairs were made of Birch and were probably made sometime in the 20th century, or perhaps late in the 19th. One of the chairs had a hole in the cane seat and they were both loose and the finish needed some help. The customer and I decided to cane both chairs so they would match, but also so I could repair the loose and broken joinery. 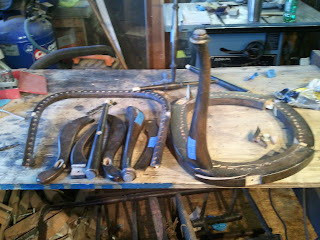 Below are a few photo of the work. 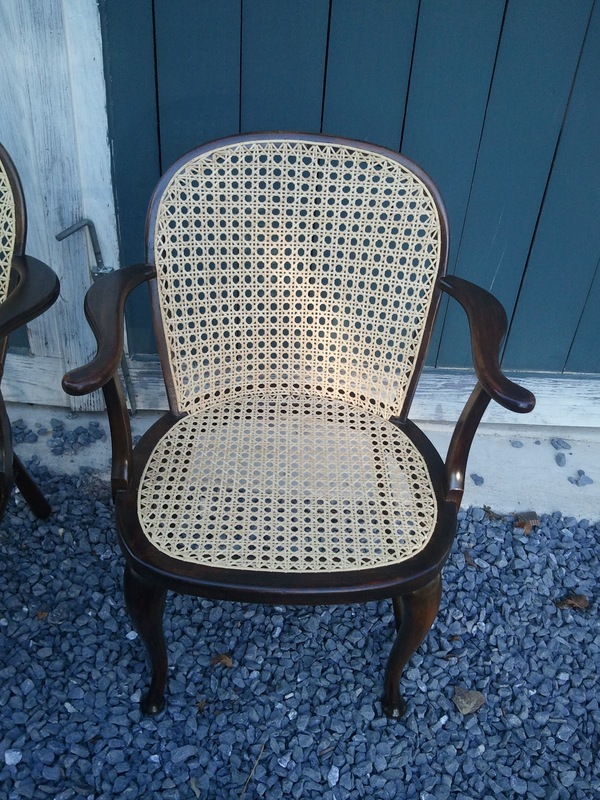 Many thanks to Chris Frear for the beautiful job on the caning. She always does a great job!! 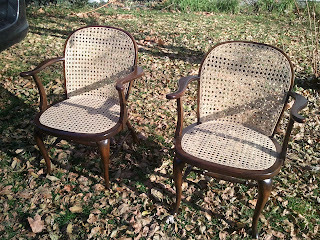 This first photo shows the chairs as they came to me. 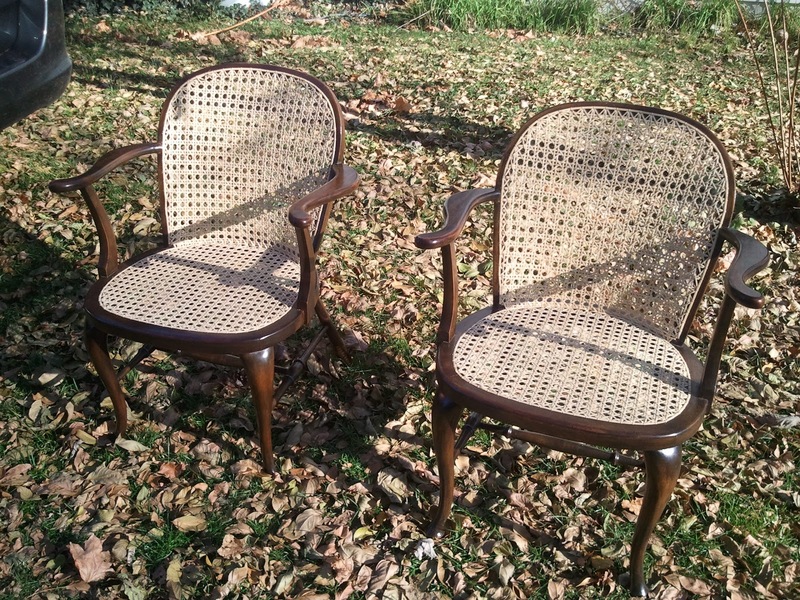 The next photo shows the chairs with the cane removed. 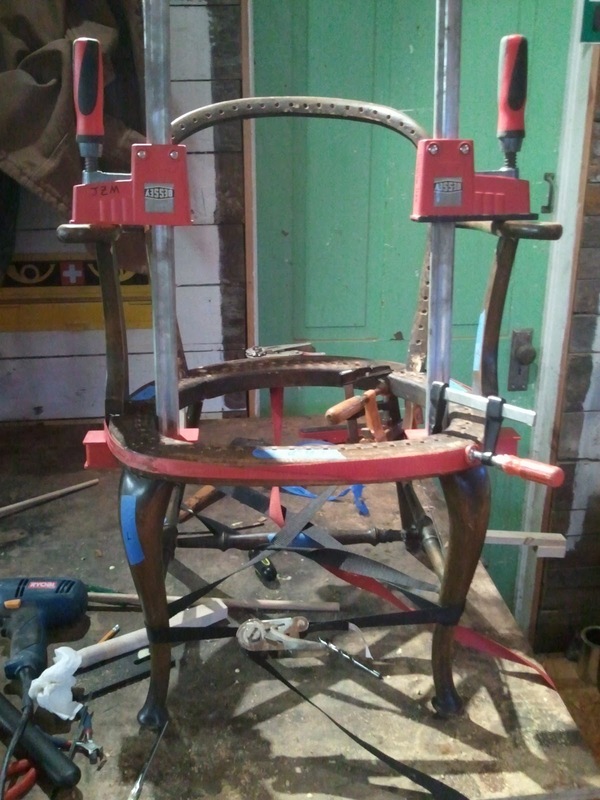 This photo shows one of the chairs disassembled. 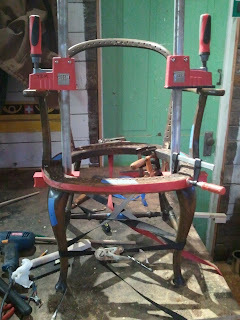 Here I am gluing the joinery on one of the seat frames. 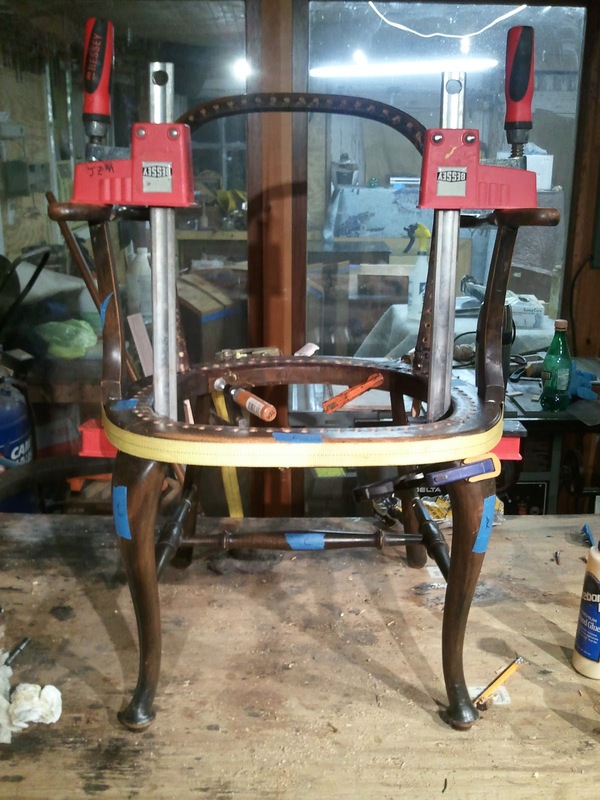 These next three photos show both chairs being glued. 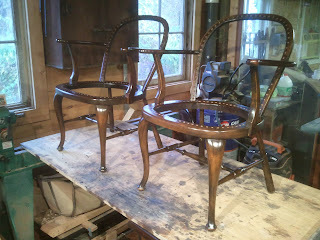 This photo shows the restored chairs ready to go to the caner. These last three photos show the completed work. 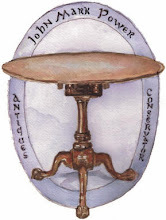 The cane will darken over time as the cane oxidizes. 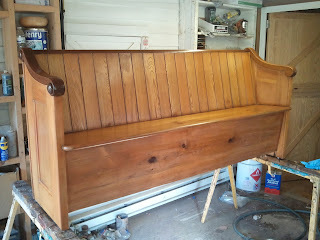 A recent piece I restored was a church pew dating from sometime in the 19th century. 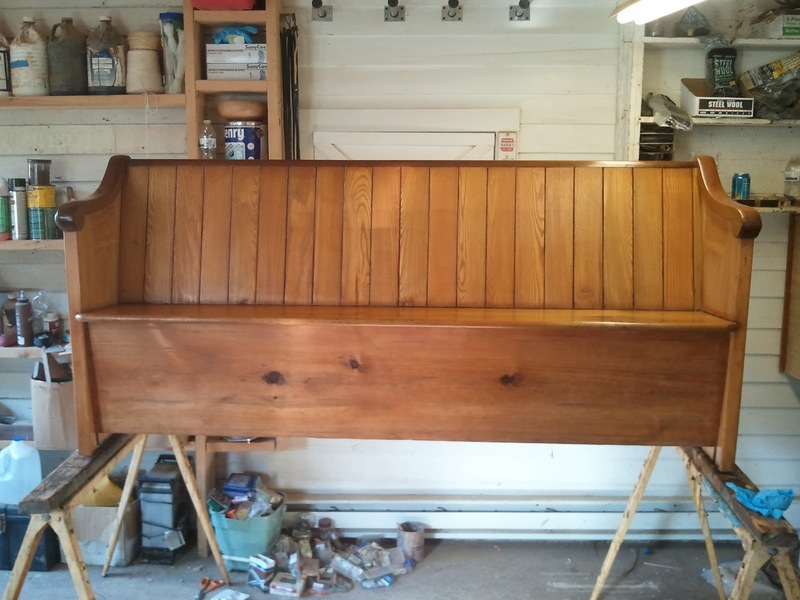 It is hard to pin down a specific date on pews but I believe this was definitely made in the first half of the 19th century. The pew was bought in North Carolina and very well could have originated in that state. The pew was painted when I received it. 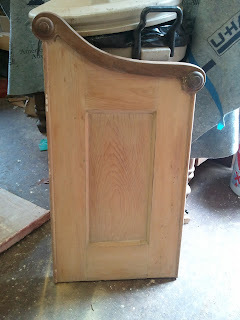 In fact, it had several coats of different paint on it. 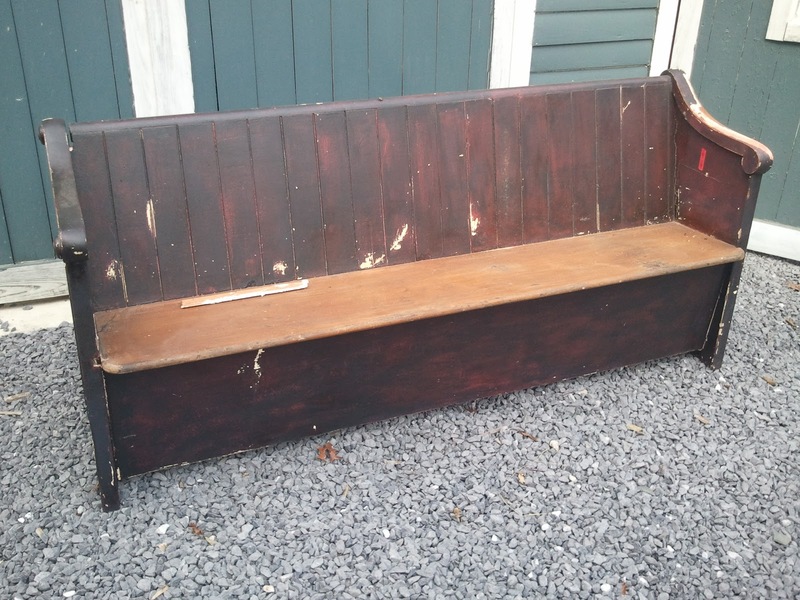 Most likely, the pew was meant to be painted originally. 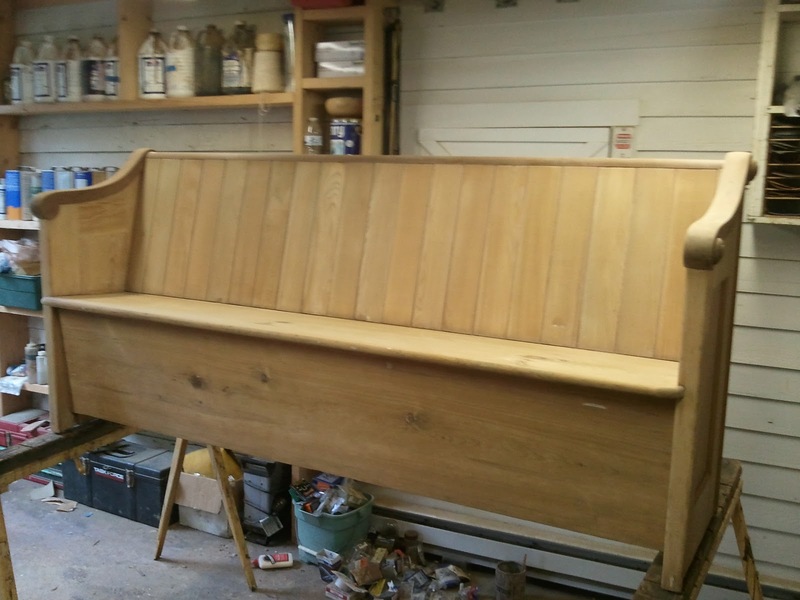 One factor that points toward this conclusion is that the pew was made of several different woods. 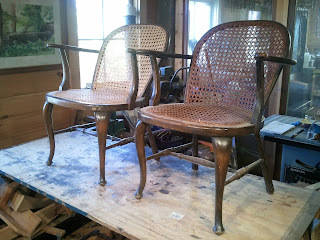 The woods were not necessarily picked to complement each other, but more for their structural and functional properties. For example the arms and the back were capped with molded Walnut. 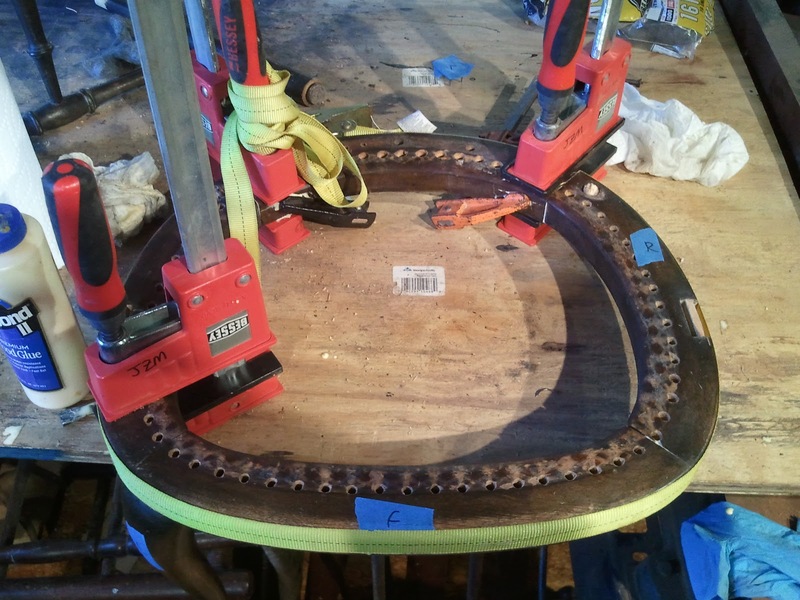 Walnut is a wood that is easy to carve and shape and takes detail well.The main boards were pine which lends itself to wide boards that are somewhat stable. Pine is a wood traditionally associated with seating, among other uses. 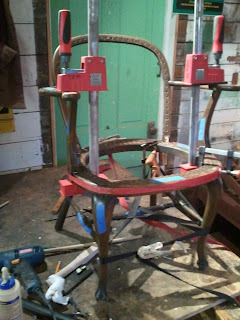 The back panels were made from American Chestnut. 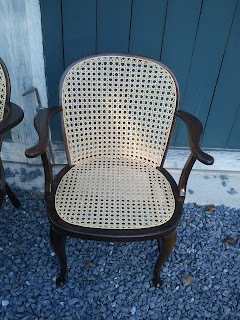 Why this wood was chosen for this purpose is unclear, but I am always happy to find this wood in peices since it has vanished from our current landscape. As mentioned above, the pew was painted seveal times in the past. 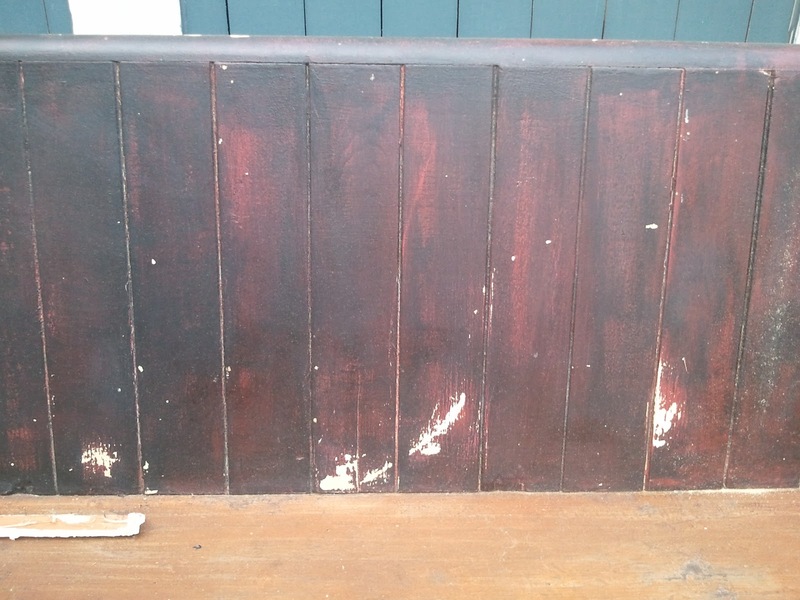 The majority of the work in the restoration of this pew was the removal of this paint. The pew also needed structural repairs as well as cosmetic repairs. below are a few photos of the pew before, during, and after restoration. 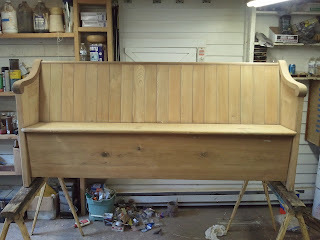 These first two photos are of the pew as it came to me. Once the paint was removed, the contrasting woods (in this photo Pine and Walnut) became apparent. 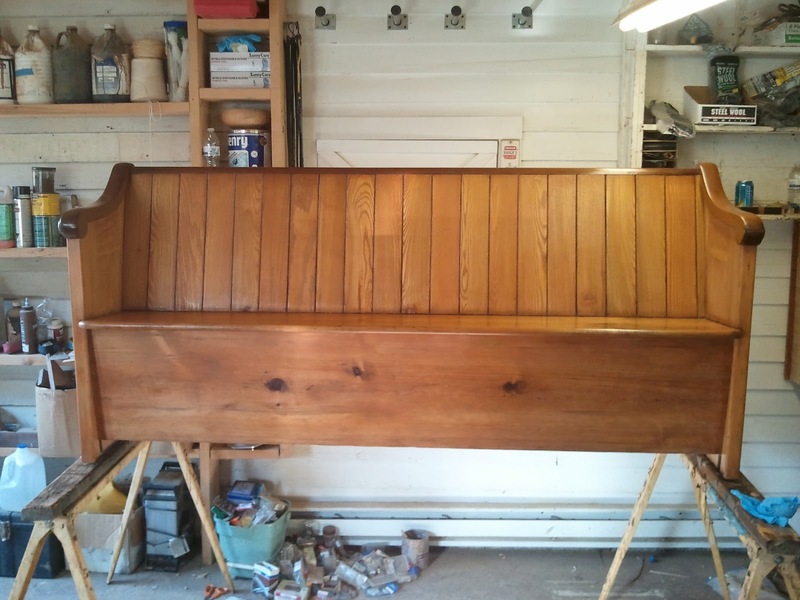 These two photos show the pew with all of the paint removed and the structural repairs made. These last two photos show the restored pew.